Refining and building on the concept in a sophisticated and multidisciplinary way, this book uses a funds of knowledge approach and connects it to other key conceptual frameworks in education to examine issues related to the access and transition to college, college persistence and success, and pedagogies in higher education. 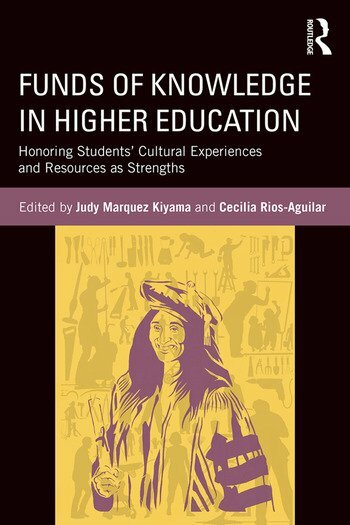 Research on funds of knowledge has become a standard reference to signal a sociocultural orientation in education that seeks to build strategically on the experiences, resources, and knowledge of families and children, especially those from low-income communities of color. Challenging existing deficit thinking in the field, the contribution of this unique and timely book is to apply this concept to and map future work on funds of knowledge in higher education. Judy Marquez Kiyama is an Associate Professor in the Higher Education department at the University of Denver’s Morgridge College of Education. Dr. Kiyama’s research examines the structures that shape educational opportunities for underserved groups through an asset-based lens to better understand the collective knowledge and resources drawn upon to confront, negotiate, and (re)shape such structures. Her research is organized in three interconnected areas: the role of parents and families; equity and power in educational research; and underserved groups as collective networks of change. Cecilia Rios-Aguilar is Associate Professor of Education and Director of the Higher Education Research Institute in the Graduate School of Education and Information Studies at the University of California Los Angeles. Dr. Rios-Aguilar’s research is multidisciplinary and uses a variety of conceptual frameworks—funds of knowledge and the forms of capital—and of statistical approaches—regression analysis, multilevel models, GIS, and social network analysis—to study the educational and occupational trajectories of under-represented minorities. Dr. Rios-Aguilar’s research interests include critical quantitative research methods, big data, social media, community colleges, and educational policies. She obtained her Ph.D. in Education Theory and Policy from the University of Rochester, her M.S. in Educational Administration from the University of Rochester, and her B.A. in Economics from the Instituto Tecnológico Autónomo de México (ITAM).